MASVINGO – The Zimbabwe National Army (ZNA) has created new serious problems for both the country and the ruling party through its alleged wanton beatings and killings of innocent civilians during last week’s stayaway, several analysts who spoke to The Mirror in interviews have said. Of more concern is that Zimbabwe is increasingly becoming a pariah State or an outcast among the family of nations with the British Parliament this week calling for a delay in the country’s readmission to the Commonwealth. Analysts also said that the soldiers have created a permanent wedge between Zanu PF and people of Zimbabwe who fail to understand why armed men in ZNA fatigue would just walk into their homes and start beating people without the slightest provocation. They said that Zanu PF and Mnangagwa’s support has never been this low and the danger to the ruling party is that for the electorate, there could be no more turning back. Statistics coming out from several organisations indicate that 12 people were shot and killed during the demonstrations. Sixty-eight others were seriously injured. 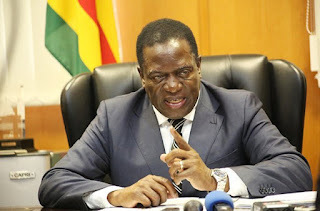 The analysts said that there was a possibility that a hidden hand existed which unleashed soldiers on the people with the objective of causing a rise against President Emmerson Mnangagwa. The British Parliament discussed the Zimbabwe situation at length this week and concluded that the heavy-handedness used during the riots would not make the country’s chances better for readmission into the Commonwealth. “I think soldiers have another agenda which is to make people angry against the current regime. This is an attempt to smear Mnangagwa so that those in the ruling party who have never liked him can start an impeachment process. Indirectly the soldiers are damaging Mnangagwa’s image. “If the beatings are deliberate maybe they are trying to instil fear in the civilians in order to rule out any future uprising,” said Dr Takavafira Zhou from the Great Zimbabwe University. “The Governemnt is trying to instil fear into the people but normally you will harden their spirit to achieve their desired goals. Ian Smith used the same tactics but inspired people to liberate themselves,” said Jeffreyson Chitando. “In as much as people are afraid of the clampdown, their spirits will eventually be hardened as anger boils up and one day they will rise,” said legal practitioner, Tongai Mutindi. James Mupfumia human rights defender from Chivhu said the nation used to believe that Mugabe was behind the human rights abuses by soldiers all along yet it was Mnangagwa.